Completed or pursuing 10+2 or equivalent exam in Physics, Chemistry and Mathematics/ Biology/ Biotechnology with minimum 60% marks. Minimum 17 years as on December 31 of the admission year. Candidates should have scored a minimum of 60% and 55% in PCM, PCB, PC and Biotechnology, and PC and Botany & Zoology. Indian or NRI and holders of PIO or OCI card issued from Government of India. Candidate should be at least 16 years old on 31st July 2019. To encourage and support exemplarily talented students direct admission with scholarship is offered. Holders of PIO or OCI card issued by the Government of India are eligible to apply for SRMJEE 2019. If NRI candidate or Holders of PIO or OCI card issued by the Government of India are taking admission through SRMJEE merit rank and counselling then they will get Prescribed Scholarship on international tuition fees. Minimum Age: Candidates should be at least 16 years old as on 31st July 2019. Maximum Age: Candidates shouldn't be older than 21 years. Candidate should have cleared Higher Secondary Examination (10+2) pattern or should be appearing in current academic year in the Higher Secondary Examination. Candidate should be attending full-time stream for Higher Secondary Examination from any State Board, CBSE, ICSEC, Matriculation or NOIS. Candidates should have Physics, Chemistry, Mathematics/ Biotechnology / Botany & Zoology / Biology as major subject in their Higher Secondary Examination. NRI Candidates: NRI Candidates or other candidates who have done International Baccalaureate (IB) with Diploma, or an A-level with Physics, Chemistry and Mathematics/ Biology / Botany & Zoology / Biotechnology as major subjects from any international schools are eligible. NIOS Candidates: Candidates who have done their 10th standard and 12th standard in NIOS, are not eligible/ considered for admission by SRM for any of their programme. Minimum Eligibility: Minimum Eligibility criteria for PCM / PCB for each campus and program will be released on official website by respective universities. Note: Those candidates who have passed the above qualifying examination in less than 2 attempts (including appearing for improvement ) will be considered for admission. And exemplary sportspersons at National and International level. How many marks should a candidate score in his/her higher secondary examination to get admitted into B.Arch/B.Des? The candidates must have passed 10+2 with 65% or more aggregate or equivalent grade in PCM (Physics, Chemistry, Maths) to be eligible for SRMJEEE 2017. For B.Tech BioTech. / Biomedical Engg. / Genetic Engg. / Bioinformatics, the candidates should have min 65% in Biology or Maths, Physics and Chemistry to be eligible for SRMJEEE. What is the Eligibility Criteria for SRMJEEE? a) For B.Tech BioTech. / Biomedical Engg. / Genetic Engg. / Bioinformatics, the candidates should have min 65% in Biology or Maths, Physics and Chemistry to be eligible for SRM JEEE. b) The candidate should be an Indian citizen or he/she must have passed an 11th and 12th examination from the education board of India to satisfy the eligibility criteria requirements of SRM JEEE 2017.
c) One must have passed 10+2 or its equivalent examination from the recognised board with Physics, chemistry, Mathematics/Biology subjects and must secure the minimum 65% aggregate marks (for Kattankulathur Campus) and 60% aggregate marks for other three campuses and SRM University, Haryana to be eligible. d) Those who have attempted SRM JEEE examination with PCM group, are eligible for admission to all the B.Tech degree programs and those who have attempted the same with PCB subjects are eligible for admission to B.Tech in Biotechnology, Biomedical Engineering, Bioinformatics and Genetic engineering programs. They are also eligible for various programs in Health Sciences. Which are the courses for B.Tech in which a student who graduated with PCB is eligible for? Candidates with Physics, Chemistry and Biology are eligible for admission to B.Tech in Biotechnology, Biomedical engineering, and Genetic Engineering. For a candidate attending Biology (rather than Mathematics), he/she is eligible for B.Tech. Biotechnology, Biomedical Engineering, Bioinformatics and Genetic Engineering programs and also for various programs in Health Science. Will JEE and other Government engineering entrance exam marks considered for an admission in SRM? 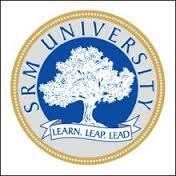 No, we at SRM take in admissions based on the performance of the candidates in the SRMJEEE entrance Examination.